Bohemian (Boho) weddings have a distinctly soft and romantic feel to them. Inspired by nature, the style is all about simplicity while accentuating the beauty of the details. There are no over the top floral arrangements or shimmering glam. 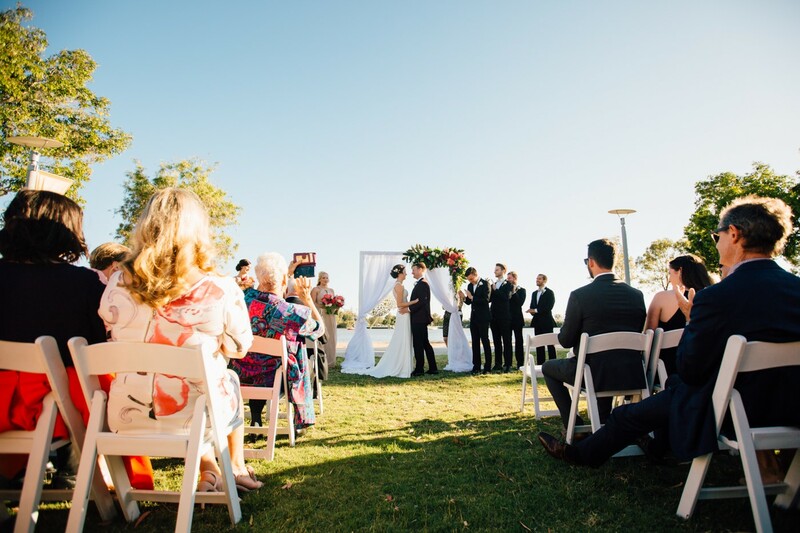 Boho weddings are about showing the natural beauty of the couple and letting guests enjoy themselves. 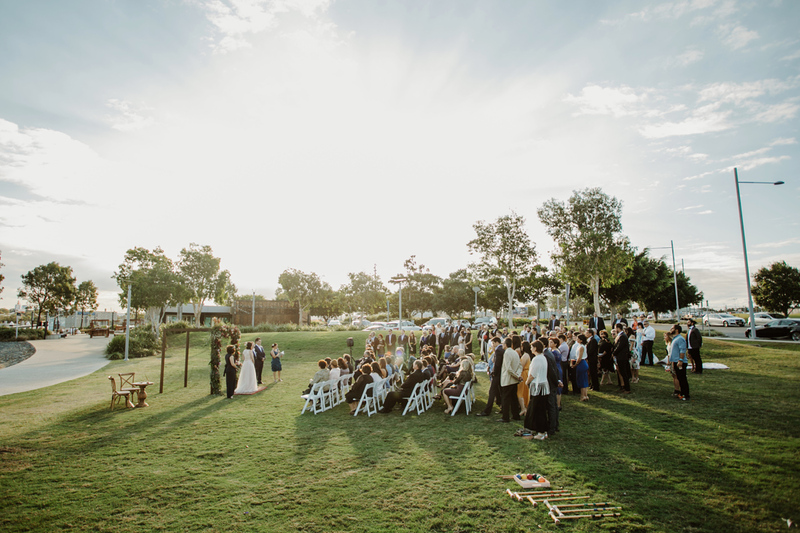 Katelyn and Ash’s recent Boho wedding at Northshore Harbour accomplished all of this and more! 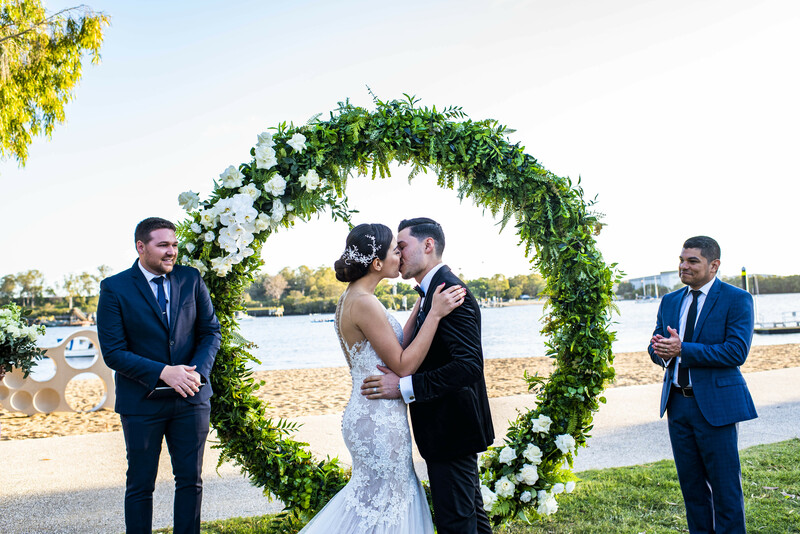 Read on to get all the details on this Boho parkland ceremony and cocktail style reception! 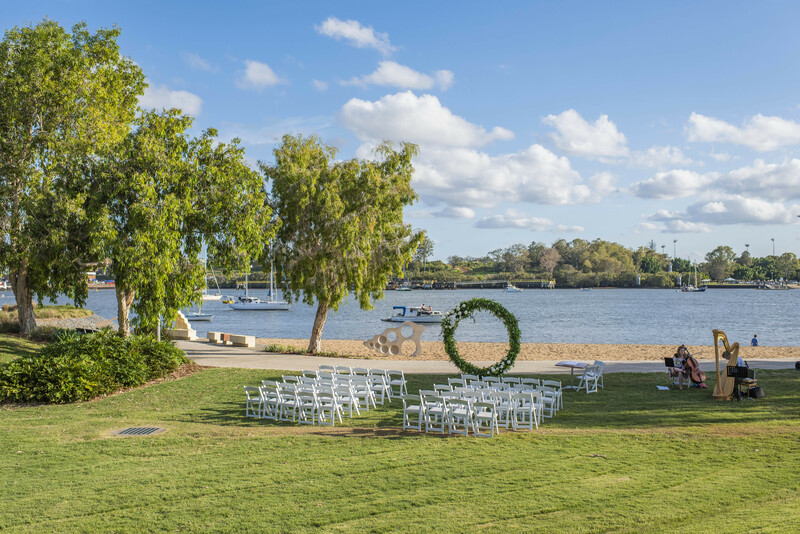 The ceremony took place in the scenic parklands at Northshore Harbour. 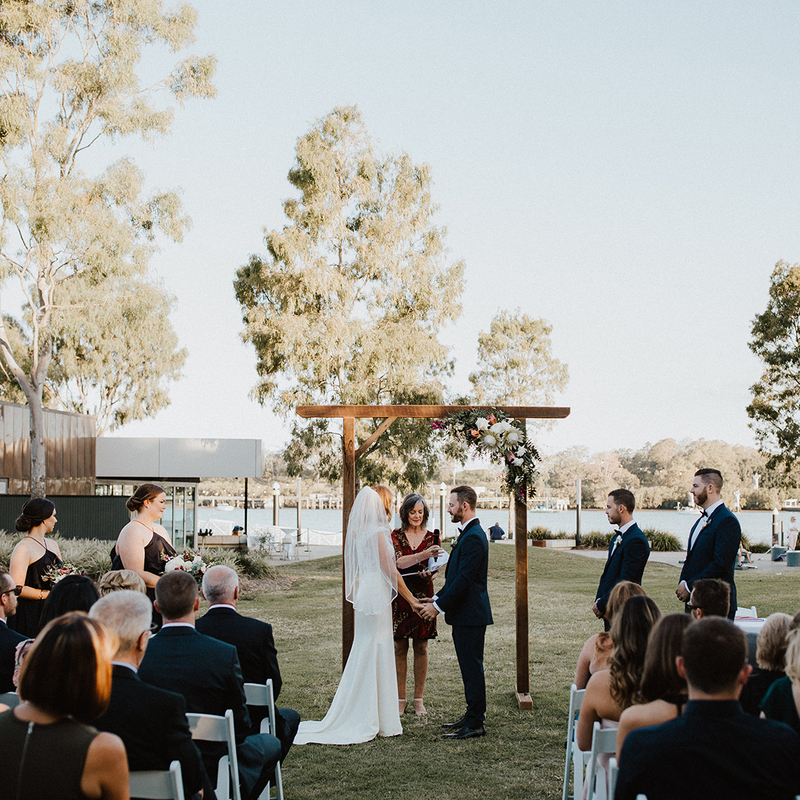 With the stunning natural greenery and the river just off in the distance, the natural background complimented the wedding party perfectly. 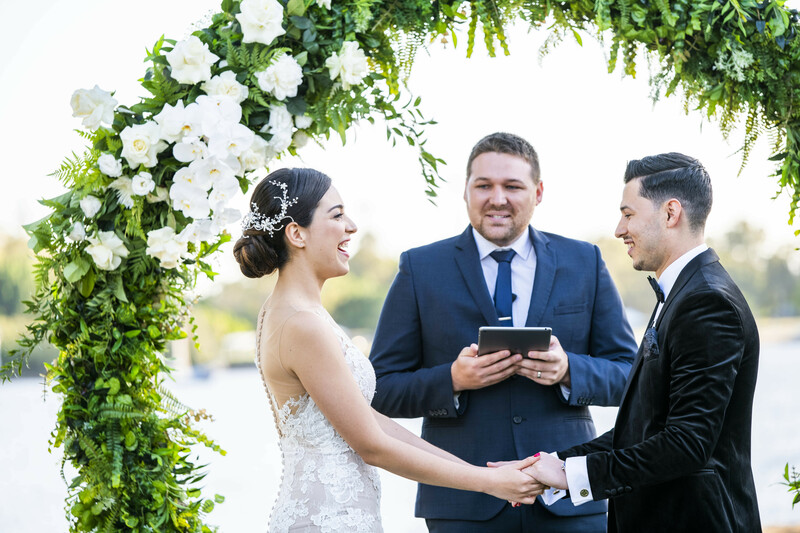 The couple opted for a short and sweet ceremony, wanting to make the most of the reception and the time they had with their guests. 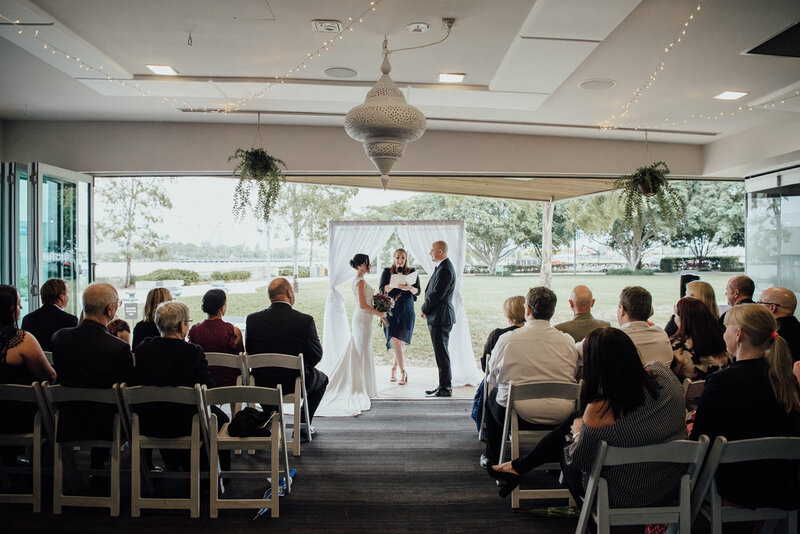 It was an intimate ceremony and reception along the Brisbane River. The canapé/cocktail style reception set the dynamic of the night and allowed plenty of time for mingling and dancing. 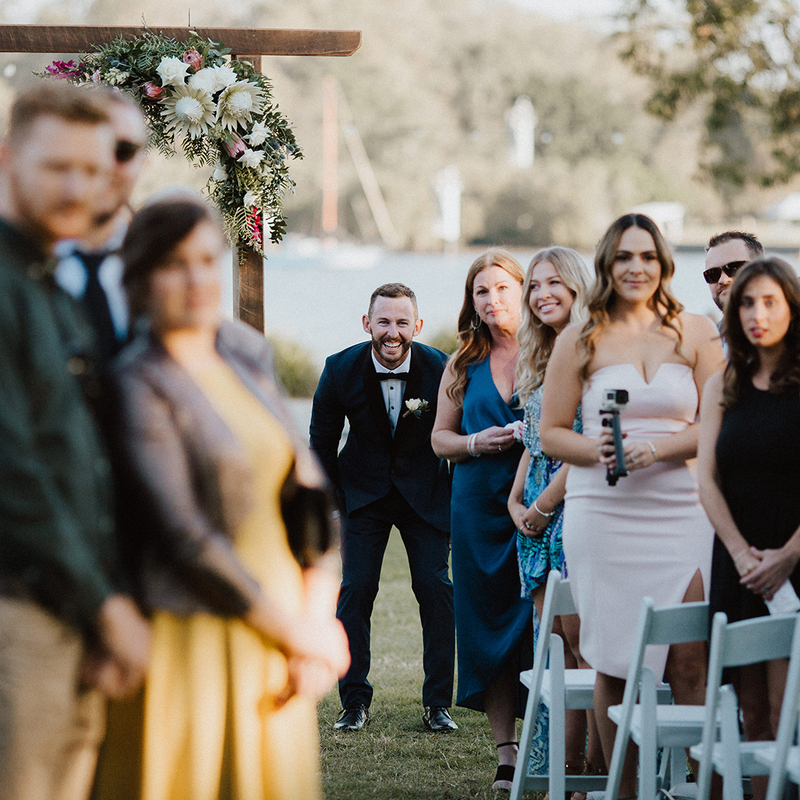 The layout allowed the newlyweds to easily chat with all their guests and the casual Boho atmosphere made the night fun and social! The father-daughter dance is always a touching moment at weddings. Kaytelyn’s dance with her father was very sentimental to her entire family because of the song choice. 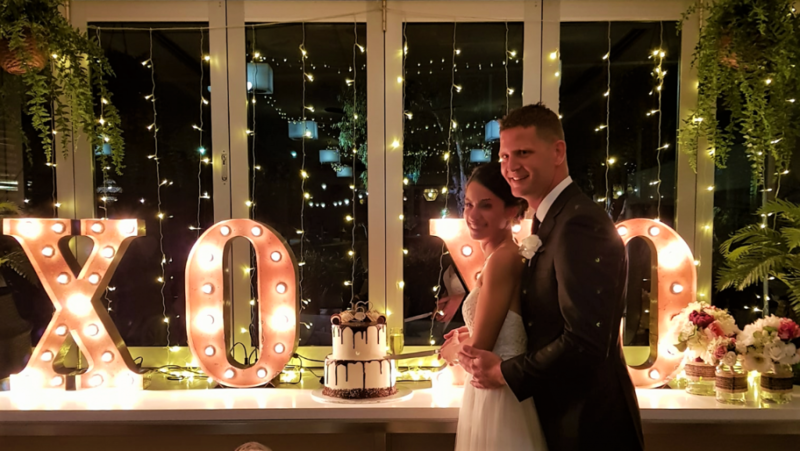 With a medley of songs to the tune of Jimmy Buffett – a family favourite which holds a special place in Katelyn’s heart- she and her father had their special moment. 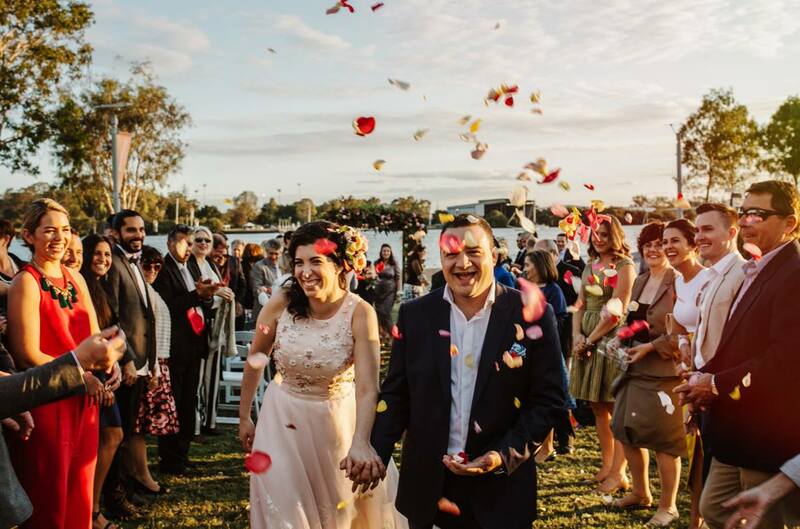 Her immediate family joined in at the end to make the moment even more heartwarming. Katelyn and Ash ran off to Singapore, Macau, and Hong Kong to celebrate their honeymoon. 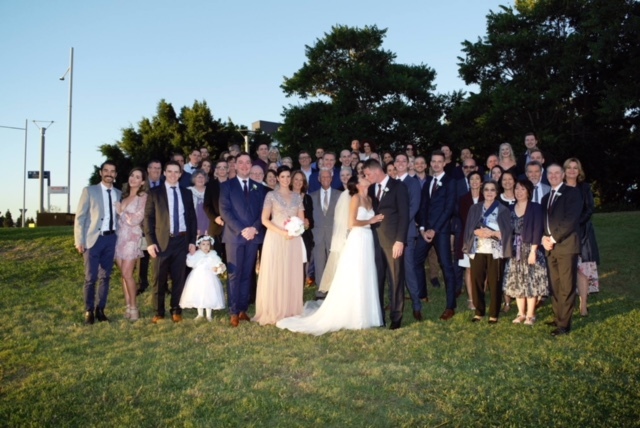 The two are now off living the newlywed life and enjoying everyone moment of it together.